Dad was there for your first dance recital. He walked you down the aisle at your wedding and has always given the best advice. Now it is time to show him how much he means to you. Forget the ties. 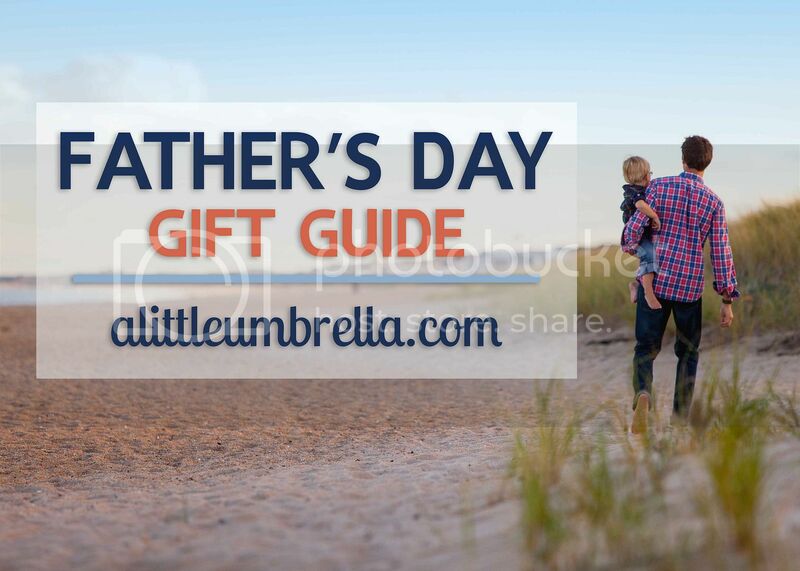 Although no gift can express your appreciation for dad, these Father's Day gift ideas are sure to please. My first pick is so cool and innovative. It is a Nexbelt. 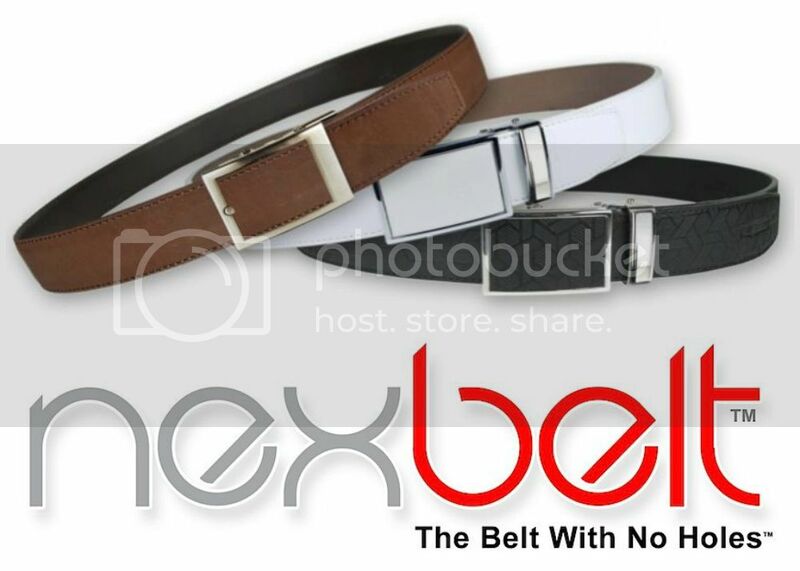 Nexbelt is a belt with no holes! This is one of their golf belts that I picked up for my husband. He loves it! They use a system that allows adjustments in 1/4" instead of the traditional 1". This PreciseFit allows the wearer to find the perfect fit by allowing he/she to adjust the fit throughout the day for better comfort. 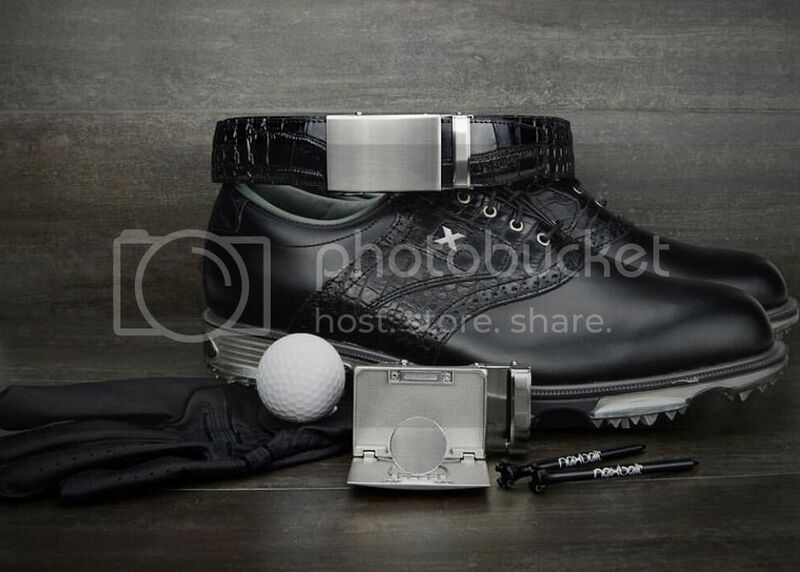 No more having to punch additional holes to get that great fit you are looking for. Start by choosing which Nexbelt you think dad would want. They have lots of flattering styles. Then you scale it to fit. Using the guide on the back, you cut it down to size. Then you just reattach it to the buckle. 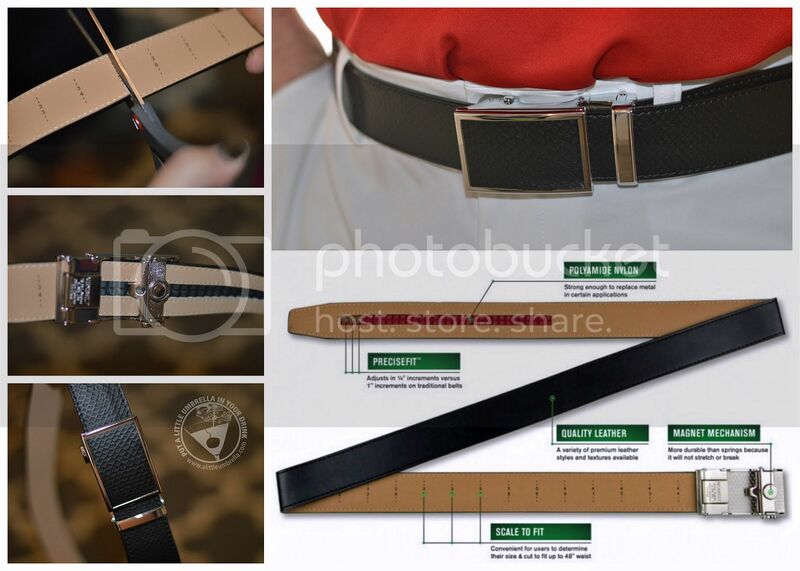 The PreciseFit system on the back of the belt lets you easily slide in 1/4" increments, until you have the perfect fit! My husband just loves his golf belt. The Go-In! style I chose for him has a hidden marker behind the flip down buckle face! He thought that was so cool. You don't have to know dad's size when you purchase him a Nexbelt. One belt can fit a waist size from 28" to 40". Remember, you just adjust it to fit you. Each Nexbelt is handmade with great attention to details. From the hand picked leathers to the deep luster of the metal finishes, the quality is comparable to belts that cost in the hundred dollar range. No doubt, dad will love it. Traditional phone covers can be boring, especially for men. That is where Toast comes in. Toast covers are laser-cut from the highest quality, sustainably grown hardwoods and full-grain leathers from American cattle. Every model is engineered to perfection and hand finished for unparalleled quality. A phone case made of wood? Yes! 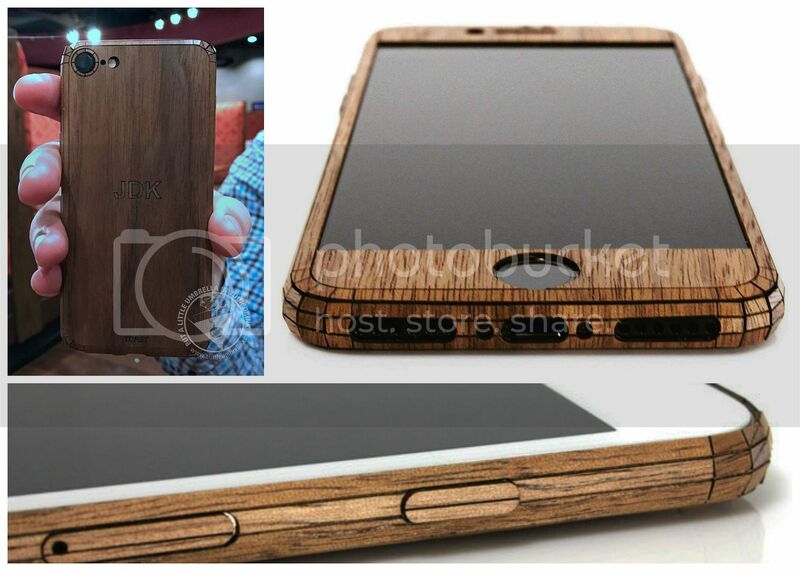 Toast makes real wood veneer covers for smartphones. 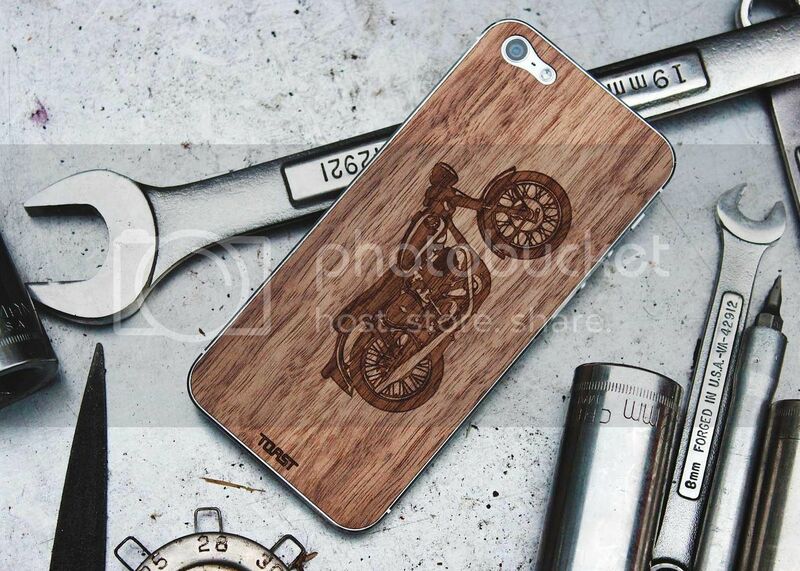 I chose a Toast wood iPhone cover for a men's gift recently and he loved it. It comes perfectly cut out like a kit. You just peel and stick. Those edges look so smooth and so perfectly chiseled, it is hard to believe that Toast created it with wood. They are sharp, unique, and sleek. The beautiful covers are available in Ebony, Ash, Walnut and Bamboo and can be customized with your own designs to make them completely one-of-a-kind. Not just for phones, Toast also makes wood covers for tablets, laptops, gaming consoles and smart home devices. 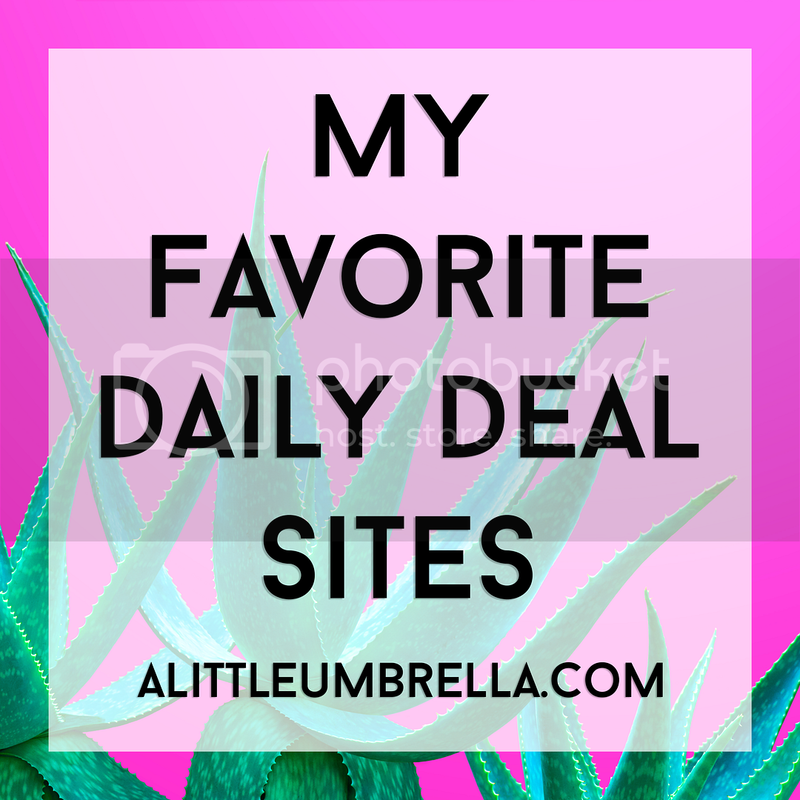 If you read my blog on a regular basis, you know that I love subscription boxes. I recently finally ordered one for my husband and I think it would make a great Father's Day Gift. What's BirchboxMan? It's a personalized, monthly grooming delivery service full of the best beard, shaving, hair styling, body, and skincare products. Plus, a tech-focused, lifestyle accessory. Each month, dad will discover a curated assortment of editor-approved new arrivals, customer favorites, and exclusive partnerships. Based on the personalized questions you answer upon ordering your gift subscription, the box will be catered just for him, so he can up his grooming game. Give Dad the gift that lasts month after month. 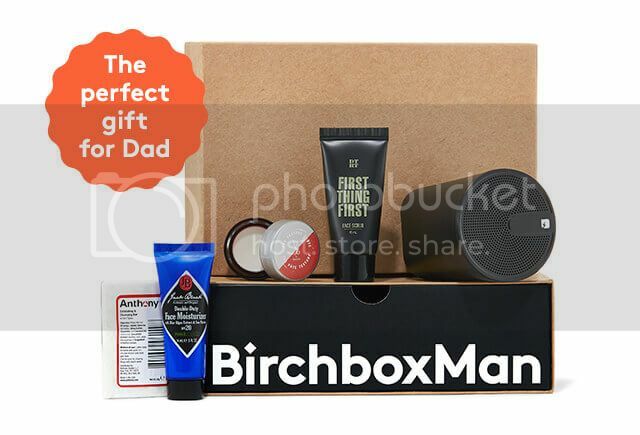 Treat the man in your life with a 3, 6, or 12 month gift subscription to BirchboxMan. You can see my full review of this box here. Special Offer // For a limited time, you can get 20% off men’s gift subscriptions. Just use this link and the code DADSDAY20 at checkout. Offer ends 6-19-17. 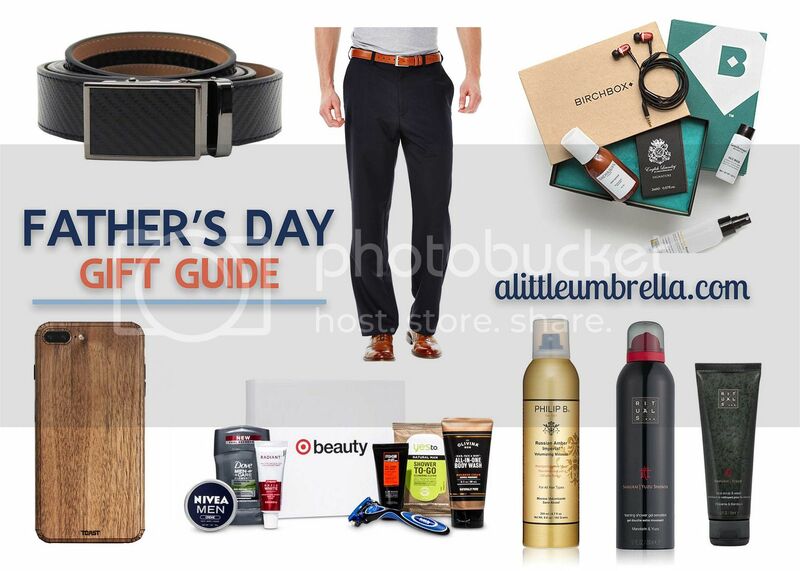 Looking for a great way to spiff up dad's look? Haggar has pants for any of dad. 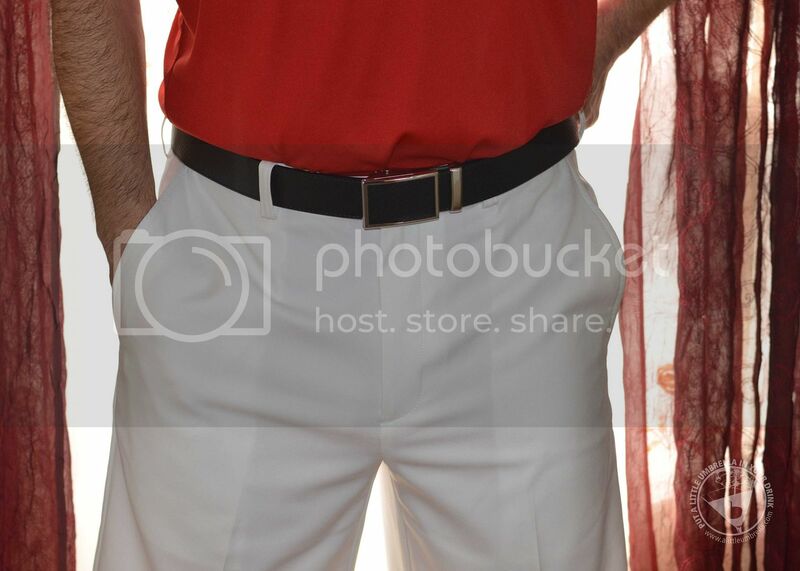 Haggar's pants are high in quality, comfort, and innovation. 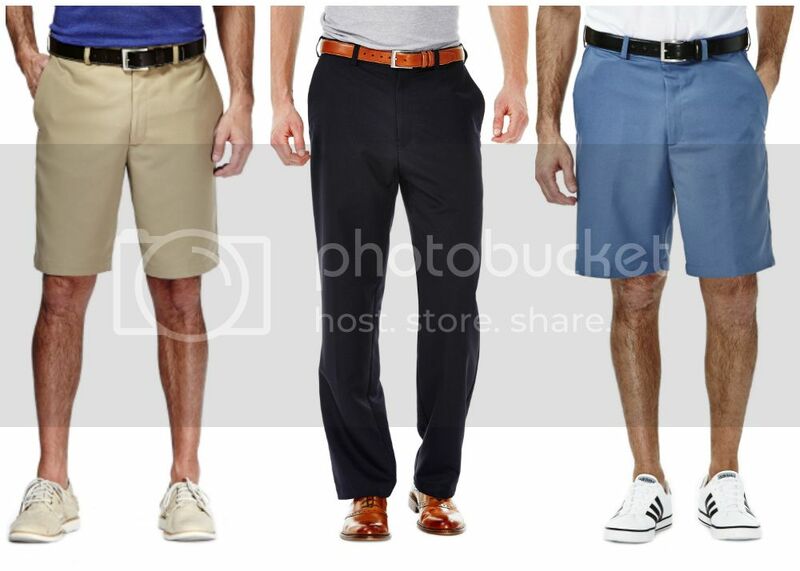 From casual to business, there are many styles to choose from. Haggar has the perfect gift for dads who go from work to the golf course, the traveling dad, the environmentally-conscious dad, the dapper dad, or one who just needs an upgrade to that old suit jacket. 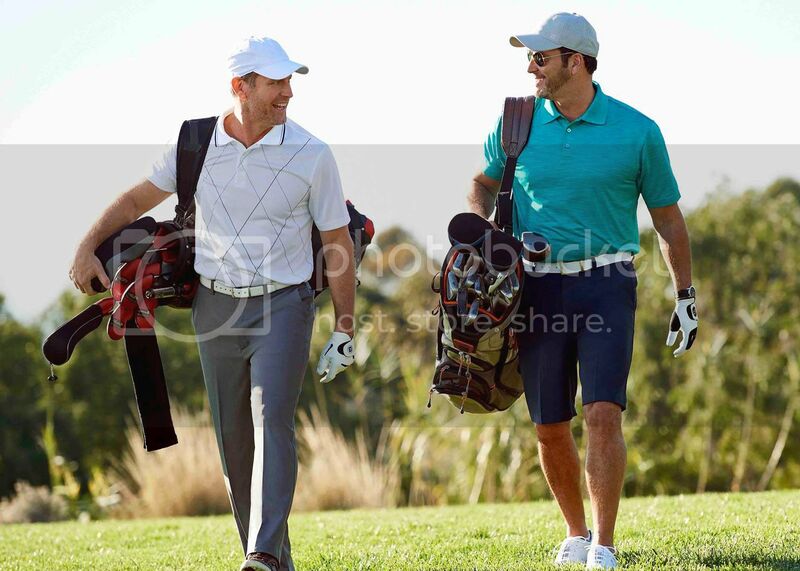 My husband wanted some golf pants, so I looked no further than Haggar's Cool 18 Pro Pants. Don’t sacrifice comfort for style. With four-way stretch fabric, UPF protection and a hidden expandable waistband, Cool 18 Pro is the perfect pant to wear in the office or on the fairway. When he tried them on he was so impressed! He literally said, "Wow. These are really nice." I agree. They looked great on him too. Dad will own the fairway in his Cool 18 Shorts. These straight-fit pleated-front no-iron shorts actually wick away moisture. The expandable waistband will help him move with ease and he'll look great, no matter how he plays. The Cool 18 Pants are designed to help keep him cool, comfortable and most importantly, professional. Breathable moisture wicking no-iron fabric and a hidden expandable waistband, make Cool 18 perfect for a Monday morning meeting or a Friday afternoon tee-time. Haggar continues to be a closet staple for men across the country and make a great gift for dad. Don't miss the Haggar Giveaway I have going on here! On a budget? Then the Target Men's Box is perfect. 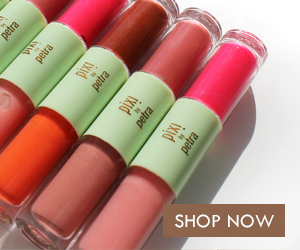 For just $7, you get all of these products perfect from work to workout, or vacay to staycay. 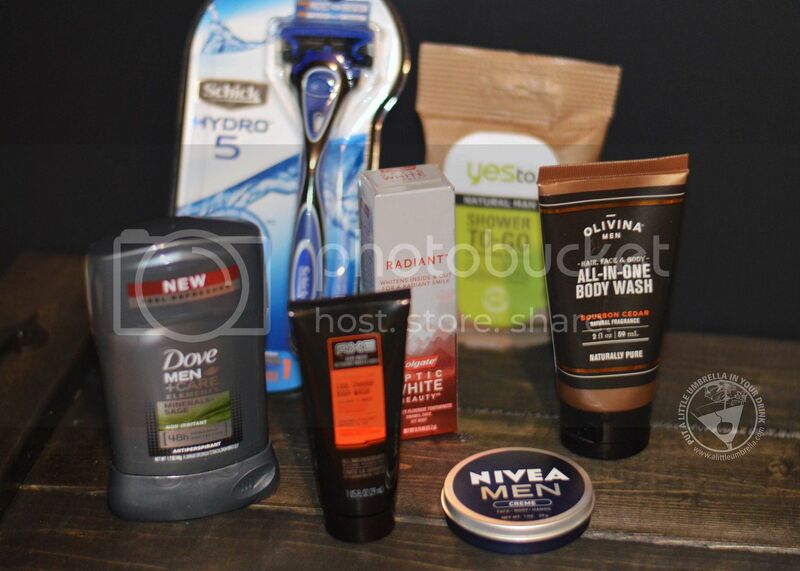 Inside this box, you’ll find a few of Target's favorite grooming go-tos that’ll save you some time. 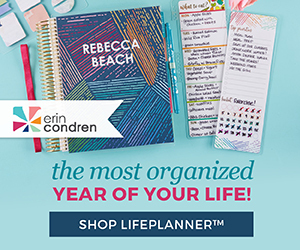 Try ’em out, and if he loves them, he can find the full-size version at Target! NIVEA Men Creme // Specifically designed for men, this multipurpose creme moisturizes without feeling greasy. Olivina Men All-in-One Body Wash // Balanced cleanser for face, body and hair removes dirt and grime without over drying skin or scalp. Schick Hydro 5 Men's Razor // Built-in skin guards help reduce friction, while a Hydrating Gel Reservoir lubricates for protection. Dove Men+Care Elements Deodorant // Skin-strengthening formula with minerals and sage offers 48-hour sweat and odor protection. Colgate Optic White Radiant Toothpaste // Enamel-safe paste whitens the inside and outside of your teeth with hydrogen peroxide for a radiant smile. Yes To Natural Man Cleansing Wipes // Made with 97% natural ingredients, like soothing aloe and coffee seed extract, to refresh in seconds. Axe Adrenaline Cool Charge Body Wash // Cleanses with touch-release technology for a chilly burst of freshness whenever you touch your skin. 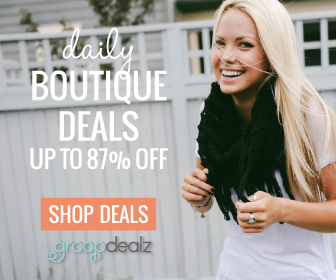 There is also a coupon inside for $3 off $15 so he can purchase the full-sizes of the products he loved at a discount! 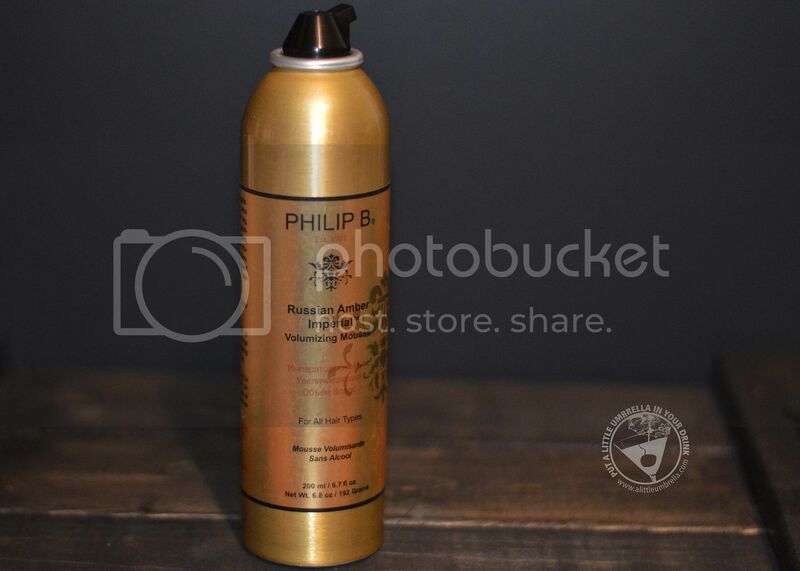 Russian Amber Imperial Volumizing Mousse is a weightless styling mousse that pumps up fine, lifeless hair. I included it in this gift guide because the scent is very masculine and it works great on men's hair. Advanced polymers plump up the hair shaft to deliver touchable, long-lasting body and bounce. Light-weight moisturizers boost shine, strengthen hair and short out static. The Pure Russian Amber imparts a warm, woodsy, scent. The ancient Japanese Samurai warriors paid great attention to their personal appearance. Their careful grooming traditions were aimed at creating an appearance that builds power, control and confidence to support their battles and challenges. Inspired by these warriors, Rituals created the Samurai collection for men that will help dad face the challenges of everyday life by being groomed to perfection. The Samurai Face Scrub + Wash is enriched with the purifying properties of Japanese Wakame, Bamboo and exfoliating scrub particles. It promotes a fresh complexion and a smooth shave. This foaming gel smooths the skin and removes dead skin cells. It helps prevent ingrown hairs and restores the softness of the skin, leaving it looking refreshed. The Samurai Yuzu Shower Foam will revitalize his skin and take on the day with the power of Yuzu and refreshing organic Mandarin. Dad can experience a new way of showering with this Rituals bestseller that uses unique gel to foam technology. Simply use one pump of gel, lather on your skin and enjoy as it turns to a rich, relaxing foam. This gel lasts up to fifty washes.